Determining the correct size for your ring is important. It begins with measuring the finger using the ring sizing tool. Most fingers fluctuate in size, changing with the time of day, the ambient temperature, and the retention of water in your body. There is also a certain amount of personal preference involved. In general, the ring should go on easily and come off with a bit of a struggle. Some people prefer their ring rather loose. However, it should not fly across the room when you make a broad gesture. Fingers contract noticeably in cold weather, and when swimming in cold water. The fit should be tight enough so that the ring is secure in these circumstances. For some people, the best fit overall may necessitate using a lubricant to remove their ring at times. At Equinox, we have a lot of experience in finding the best sizing solution. This can involve the ring design. Considerations include width, thickness, taper and special features that resist slipping. For instance, a convex contour on the inside of the ring can allow the ring to more easily slide over the knuckle and still fit well when in the correct position. Do your fingers stay about the same, or are they affected by exercise, the weather or even the time of day? If you wear other rings, you will have some knowledge of these variations, which will help to determine the correct ring size. If the sizing ring is extremely tight over your knuckle, but far too loose when all the way on the finger, there are a number of options for achieving a better fit. This is especially important in a ring with a featured center stone. A snug fit will help the gemstone to stay upright on your finger. 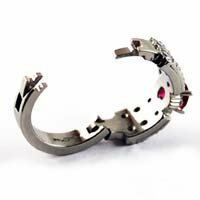 The accompanying photos illustrate the operation of a hinged shank, which opens to slide past the knuckle and then securely closes when in place. If your knuckle is more than one size larger than the base of your finger, this integrated mechanism may be the best approach. 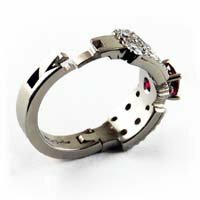 Rings you already own can be sized or modified so they fit comfortably. Finger and knuckle size do change over time. Your rings can be made bigger or smaller according to your needs. 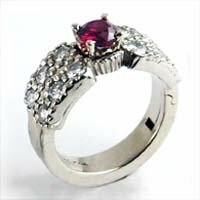 In some cases, it is better to design a new piece with your stones which address issues that have prevented your old ring from fitting well. 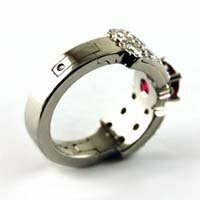 When we design a new ring we take great care to consider all details to ensure the best fit possible.